The Ionian Islands are located in the Ionian Sea, off the west coast of Greece and are composed of Corfu, Kefalonia, Zakynthos, Lefkada, Ithaca, Paxos and Kythira. The islands are well known for their beautiful sandy beaches, crystal clear waters, charming villages and stunning scenic countryside which is verdant and flourishing with greenery and nature. Each Ionian island has a distinct character and between them they offer everything you could wish for from a Greek Island holiday. 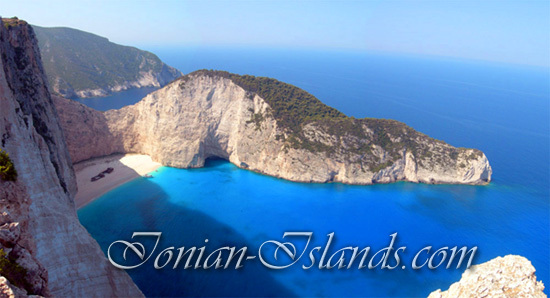 This site is a complete travel guide to Ionian Islands. Hotels, Studios & Apartments, Restaurants - Greek Tavernas, Bars, Clubs, Car Rentals, Travel Agencies, Photos, Beaches, Sightseeing and much more useful information, are just a click away.